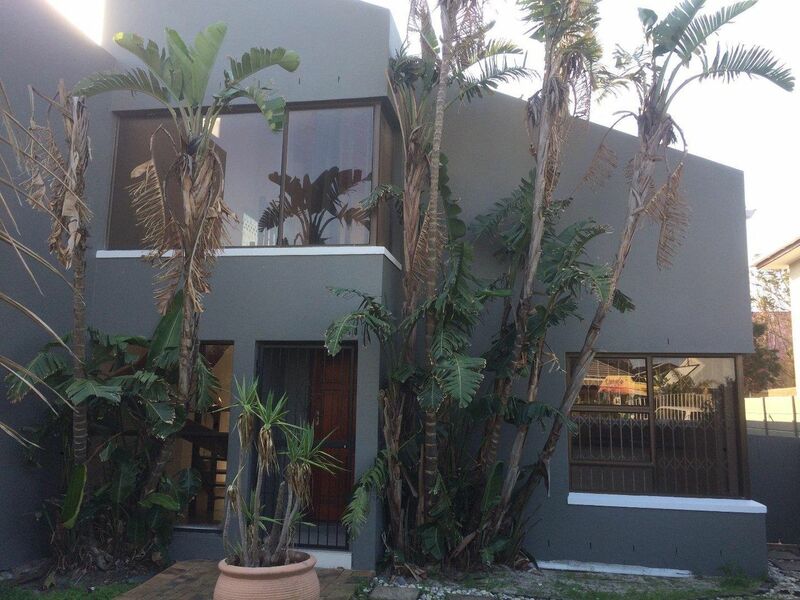 This newly painted modern double storey home with great street appeal boasts 3 bedrooms, 4 reception rooms. All living is downstairs except for the TV/family room/work from home study upstairs. Ground Floor: Tiled entrance hall into large open-plan living. An open-plan granite kitchen opens onto a dining room that flows into a lounge and family room, all lead off onto a manageable garden and pool. 3 secure bedrooms and 2 bathrooms. The master bedroom is enormous with en-suite bathroom and air-conditioning makes this a comfortable getaway to relax on a sofa in your bedroom. A paved driveway, double garages and Trellidoor type security throughout. A nice size garden and paving around a pool. The garden and pool need attention.